Earlier this month, the Central Park Historical Society dedicated two markers in Bethpage honoring the Long Island Motor Parkway. 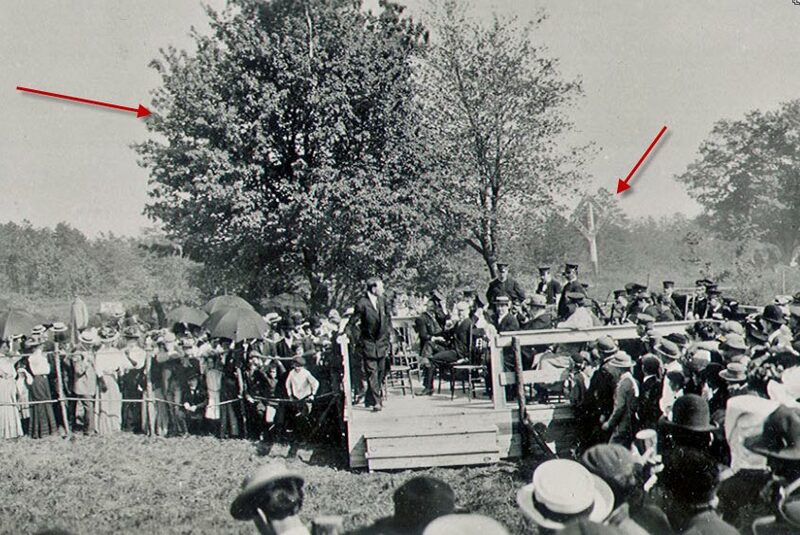 The second marker was placed on Stewart Avenue near the site of the Motor Parkway Ground-Breaking Ceremony held on June 6, 1908. The marker was placed on the east side of Stewart Avenue (formerly called Jerusalem Road). The east embankment for the Jerusalem Road Motor Parkway is still standing directly behind the marker. The former right-of way for the Central Railroad is now the path for LIPA utility lines. 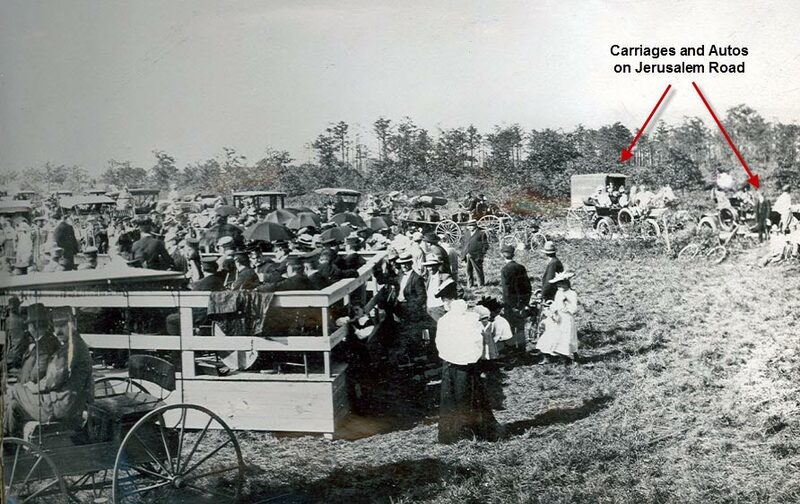 This early 1908 view (pre-Motor Parkway) shows the narrow Jersusalem Road looking south. Note the railroad crossing sign and the large tree. 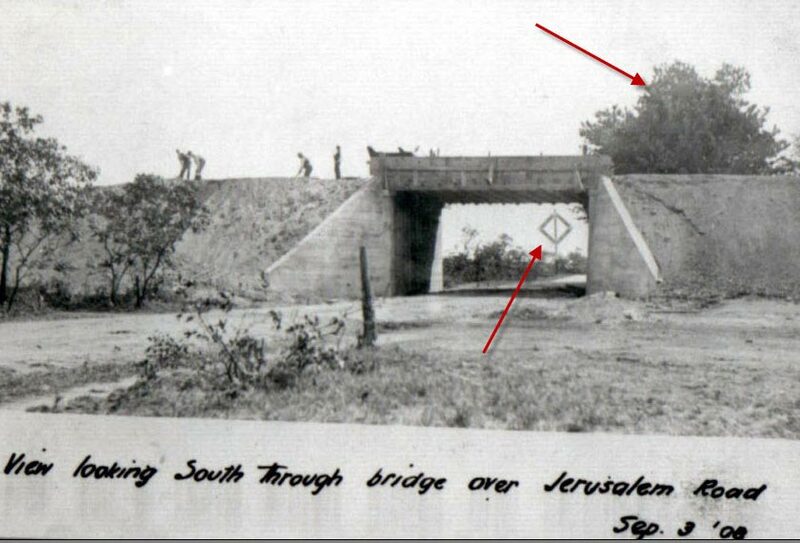 This photo shows the speaker platform for the Ground-Breaking ceremony in relation to Jersusalem Road. It appears to be 25 feet south of the road. 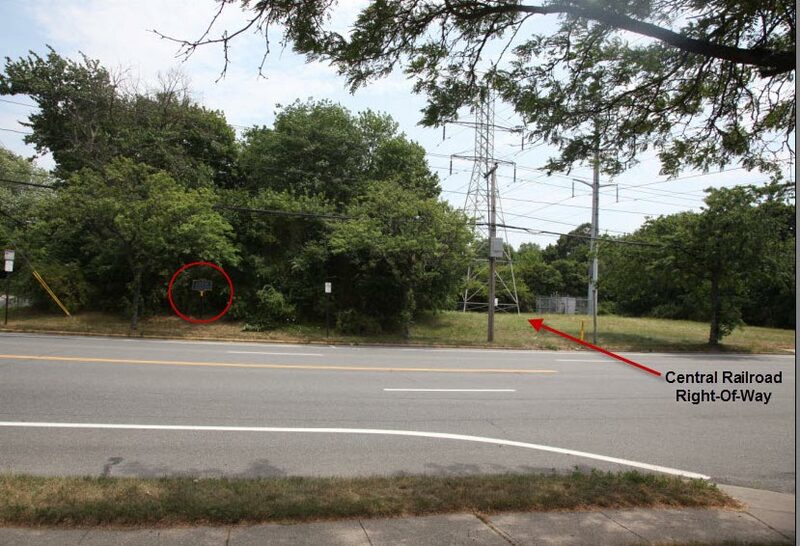 This photo shows the relation between the speaker platform and the railroad crossing sign and the large tree. 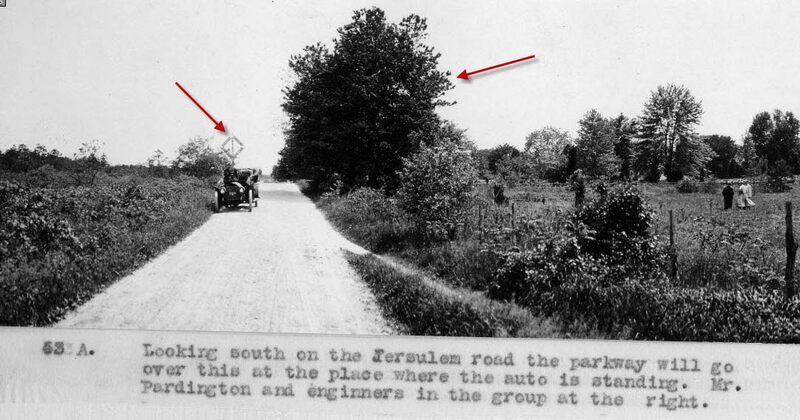 This September 3, 1908 photo shows that the railroad crossing sign and the large tree were south of the bridge. 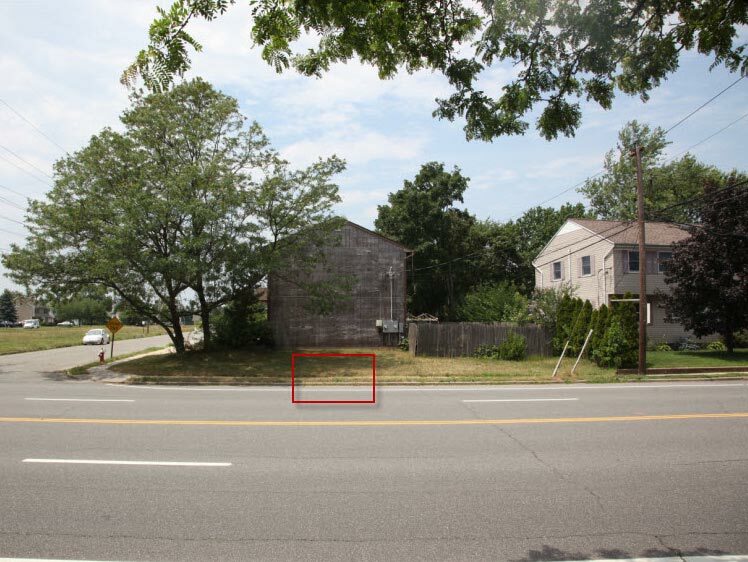 Based on the above photos and the widening of Jerusalem Road over time (now Stewart Avenue), this is my best guess where the Ground-Breaking Ceremony took place, almost directly across the street from the new marker. Thanks again to the Central Park Historical Society for helping to mark and preserve the history of the Long Island Motor Parkway! Howard, love studying the photos, keep them coming!